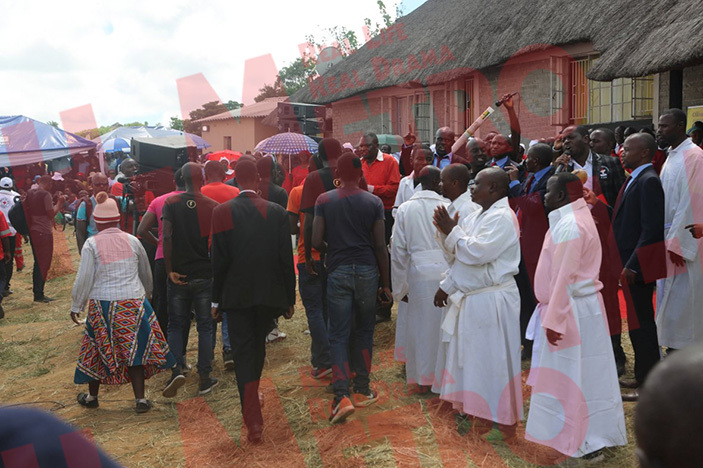 MADZIBABA Strive Masango, popularly known as the “Back to Sender prophet”, has hailed the unity among churches in music icon Oliver Mtukudzi’s funeral wake. “I want to believe that the legend Tuku’s soul found rest in the Lord considering a number of witnesses that thronged his rural home to pay their last respect,” said Madzibaba Masango. “It’s not all people who can draw such a crowd at their funeral regardless of being popular or having money but Tuku’s works testified on his behalf. “I could see the unity of purpose among churches when they exchanged the VIP arena with spiritual hymns regardless of denomination. “Methodists, Mapositori, Catholics, Zion, Salvation Army churches and many more participated and the director of ceremonies gave them more time befitting one who had accomplished his mission on earth and even the government saw it fit. “Rufu runorema uye vanhu vanoremerwa parufu rwemunhu akaipa asi paTuku wakaita semuchato, and I want to thank Tuku family and government for providing enough food. “Mourners were fed with enough meat, beans and eggs for breakfast, spiritual food through messages of hope from various churches including Zimbabwe National Army chaplain. “To be honest with you I was impressed, blessed and inspired to remain focused in my calling. We received a sermon from that Reverend achiti munhu aita zvakanaka azviitira aita zvakaipa azviitira nekuti mabasa ake anomutevera,” said Madzibaba Masango showing CDs and tshirts of Tuku music he bought in solidarity. The back to sender prophet is expected to conduct one on one sessions at Nketa 9 in Bulawayo this Friday. Pastor Charles Charamba, Mechanic Manyeruke, Tembalami and Vabati vevhangeri and many other apostolic faith churches led mourners in praise and worship before the guest speaker Minister Oppah Muchinguri-Kashiri made remarks.